Do you use video in your classroom???? (Who doesn't?). This service will vastly improve the educational quality of that experience. 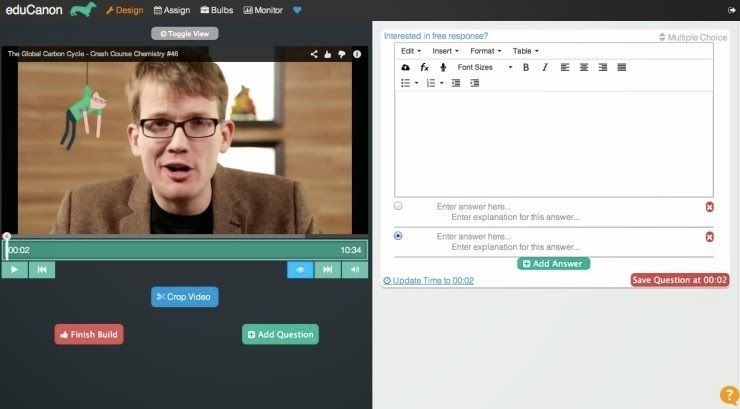 Educanon enables you to add questions and track student progress in youtube, vimeo or any other online video content. Check it out.